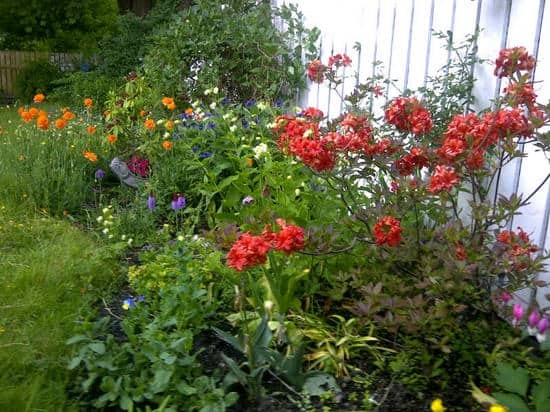 It's a trend these days to mix vegetables with flowers in gardens. 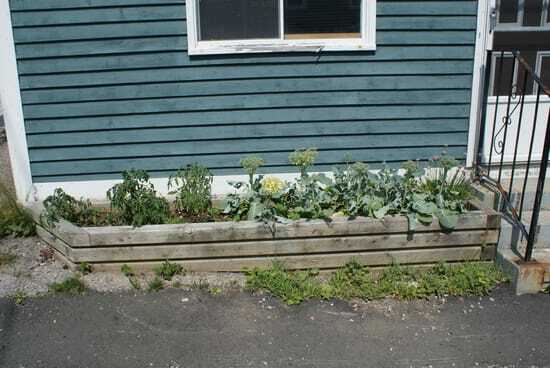 This St. John's gardener has gone a step further and planted all vegetables, including tomatoes, broccoli and chives. 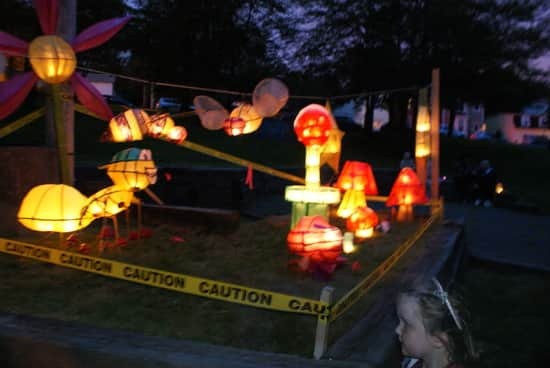 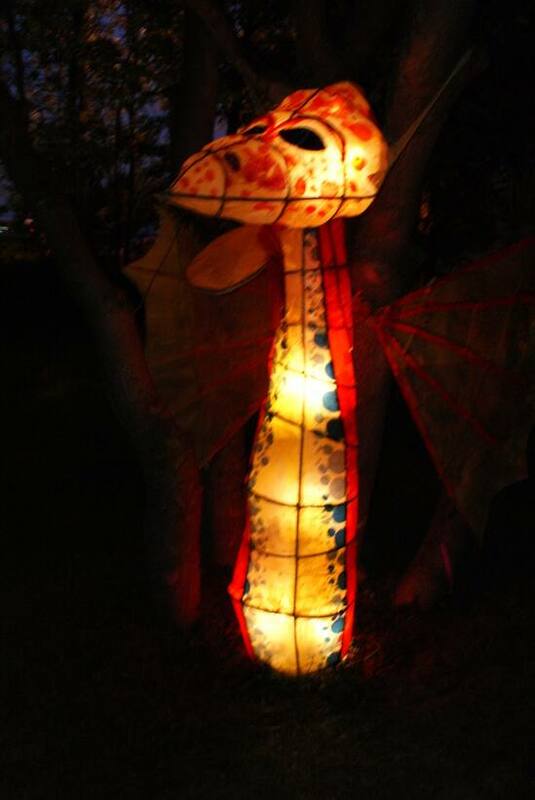 In the media biz, we call them teasers - little promos that make you want to listen or watch something, so here a little teaser for the annual lantern festival in Victoria Park in St. John's on Saturday. 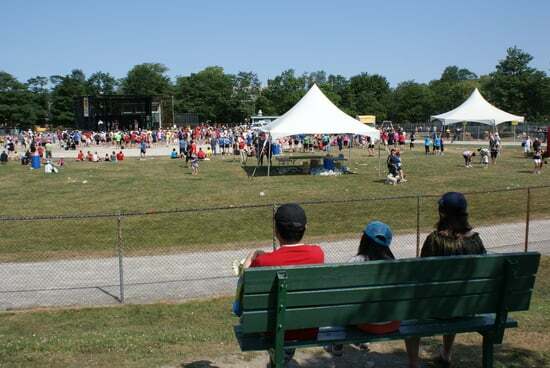 These are photos from last year's festival. 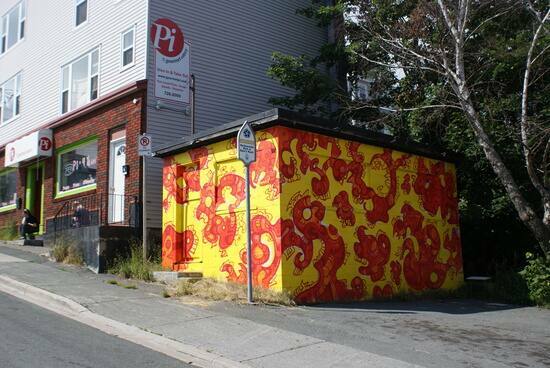 The folks at St. John's Clean and Beautiful have hired some artists to decorate eight traffic control boxes in the city. 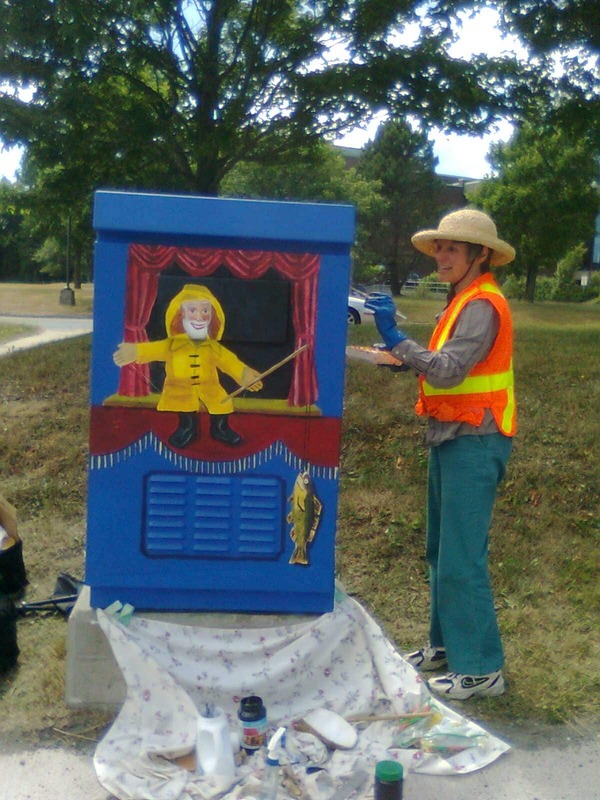 Here's Catherine Chafe working on the box outside the Arts and Culture Centre. 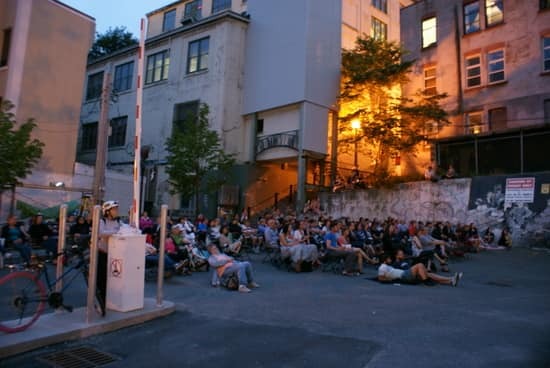 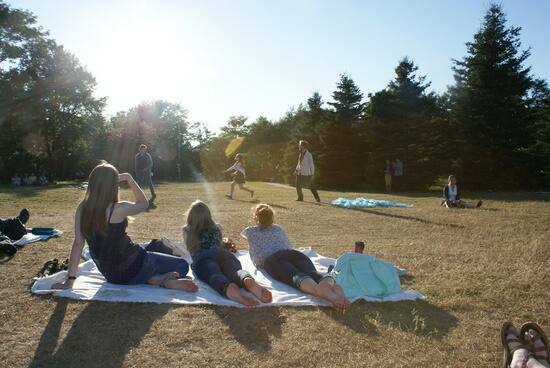 The Shakespeare by the Sea Festival has been performing throughout the summer in different venues around St. John's. 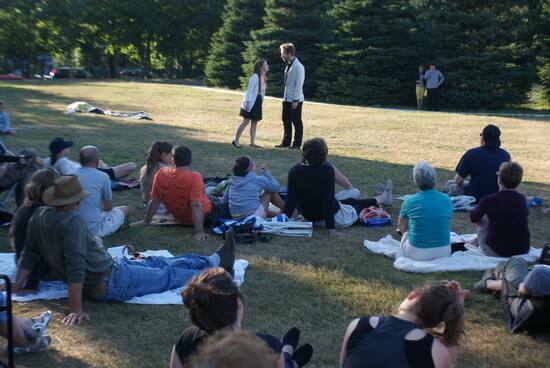 Sunday and Monday nights until mid-August, they'll perform A Midsummer Night's Dream. 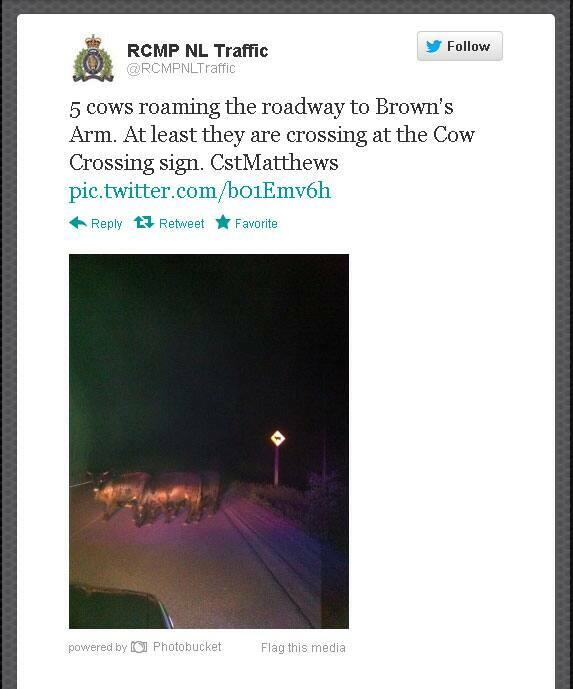 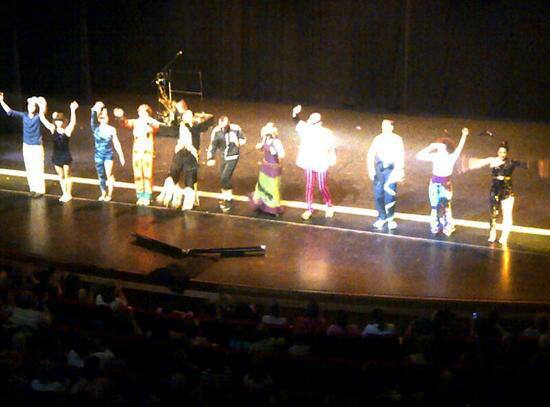 Here they are in front of a crowd last night. 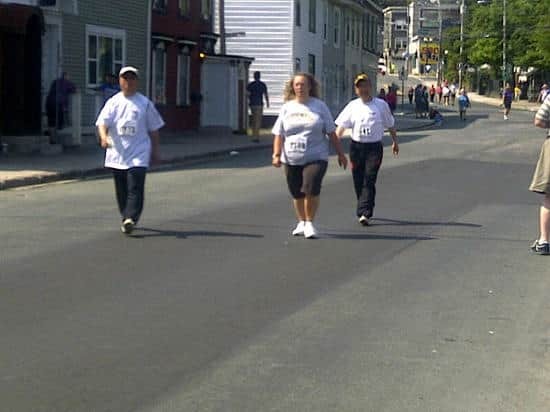 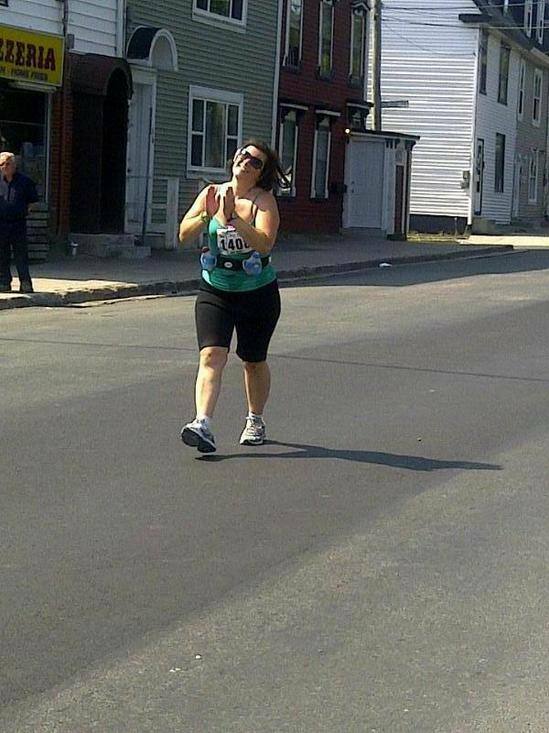 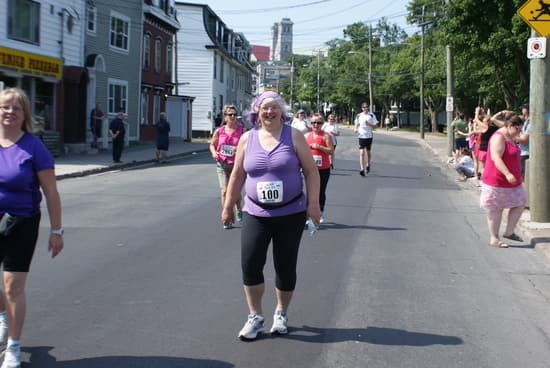 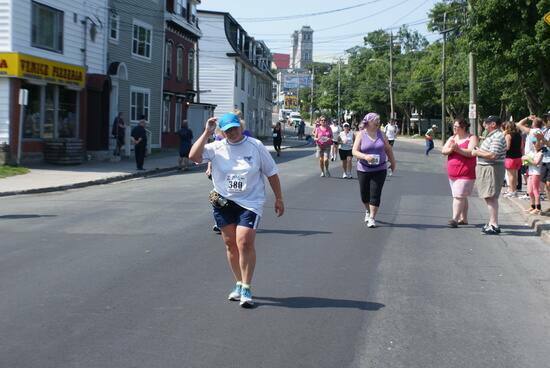 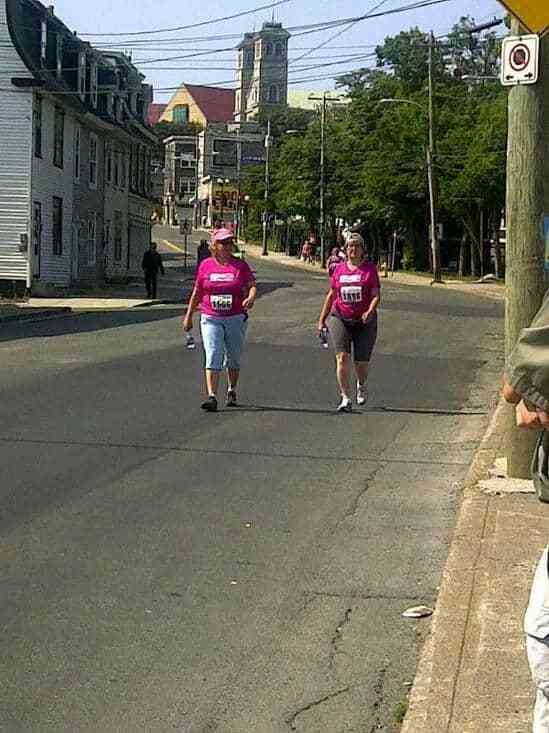 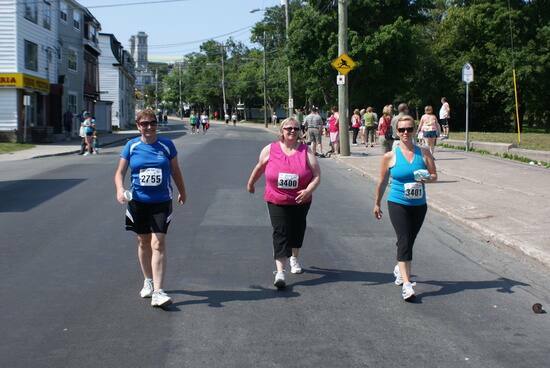 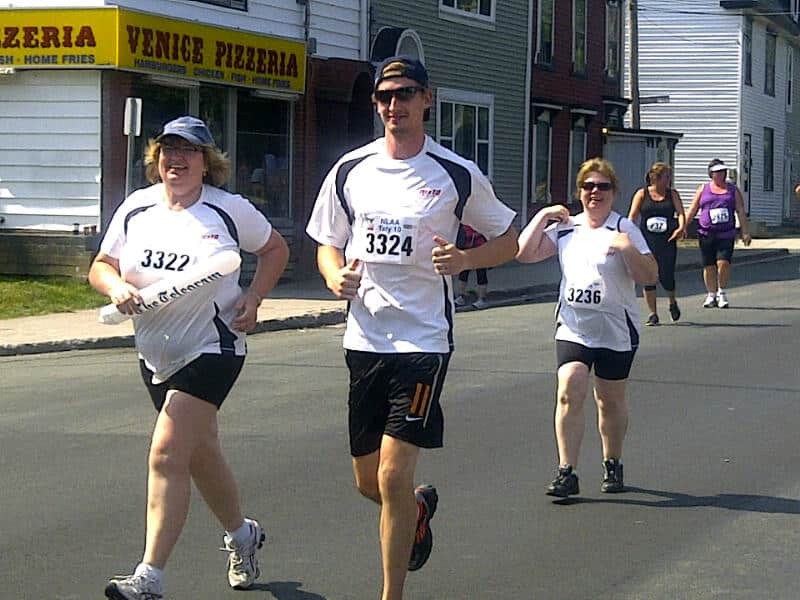 More shots from the 85th annual Tely 10. The winners, they get plenty of accolades. 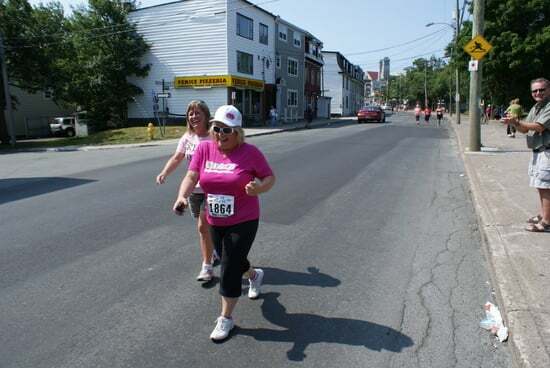 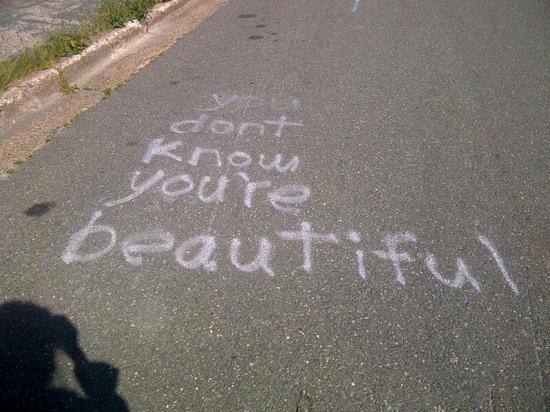 seen always goes to the race as it's winding down to honour those people who stuck it out and finished the race. 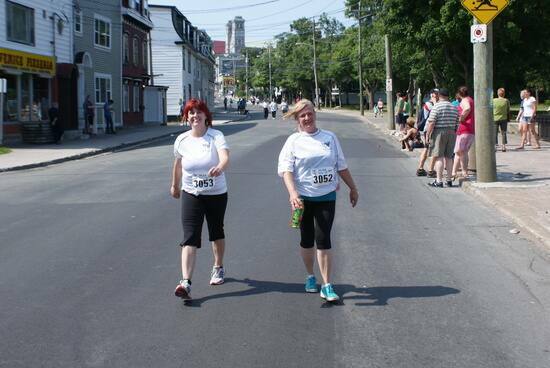 We'll have more form the 85th running of the race tomorrow. 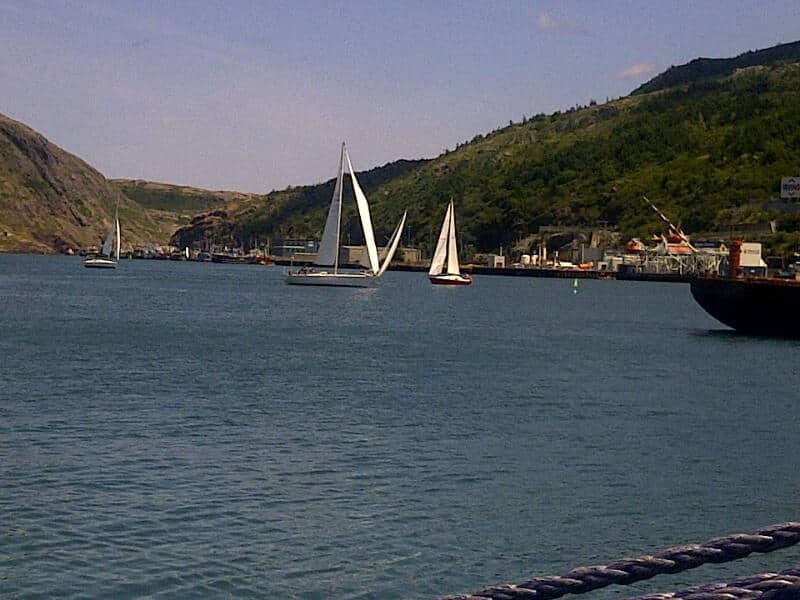 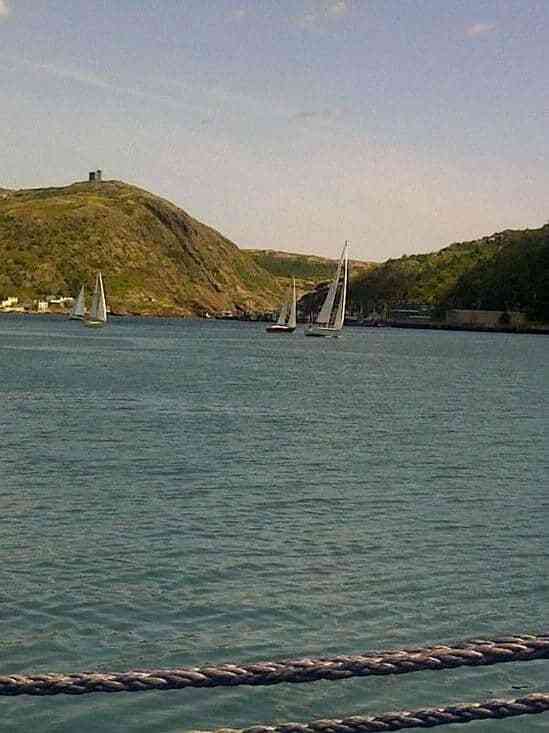 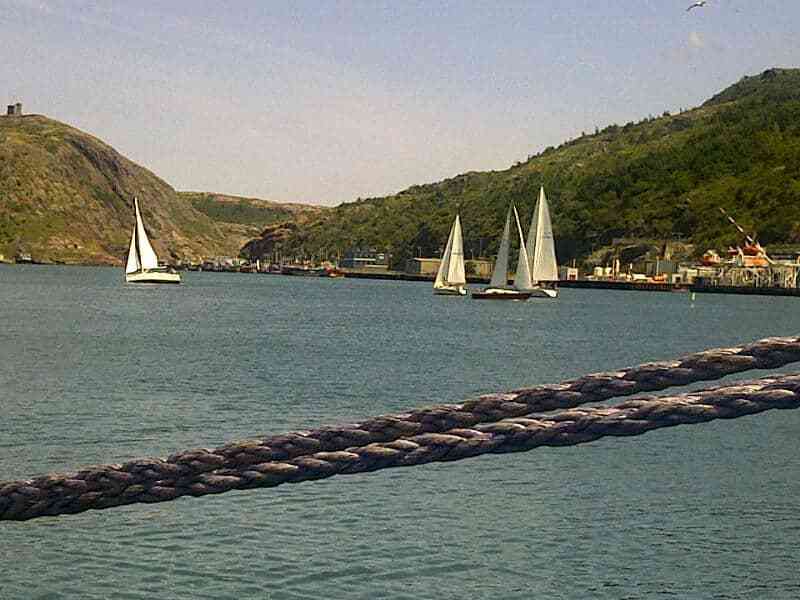 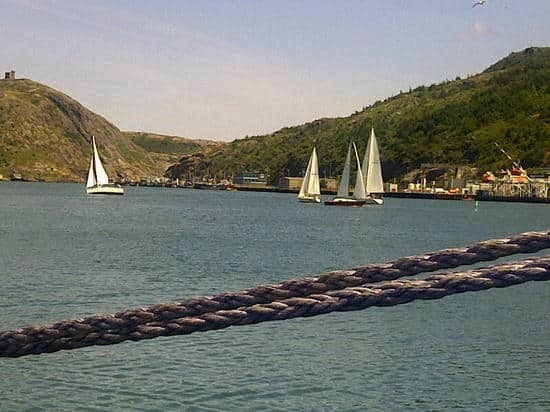 Lots of beautiful saiboats in St. John's harbour on Saturday. 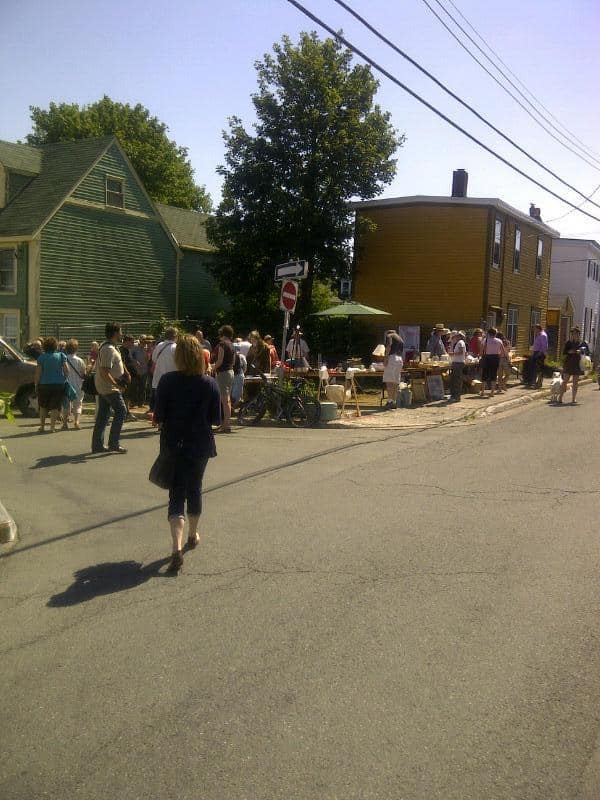 A bit of fun every year, Georgestown neighbours get together and hold a big yard sale. 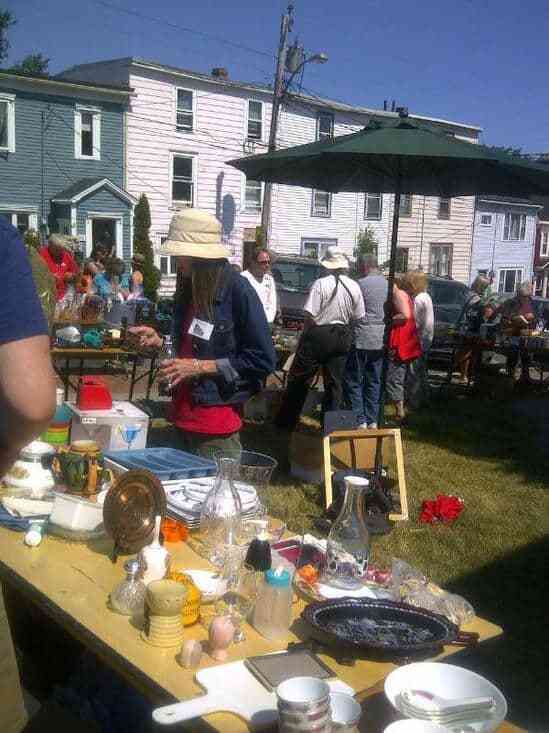 It's a chance for people to chat, get to know each other better and get rid of some junk at the same time. 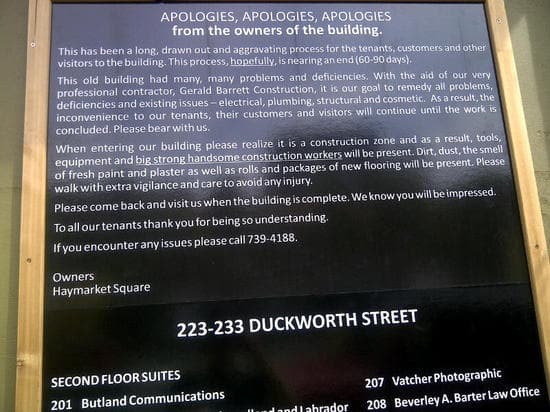 How do you say you're sorry for causing inconvenience to customers and passersby. You post a sign like this one that's in front of Haymarket Square in downtown St. John's. 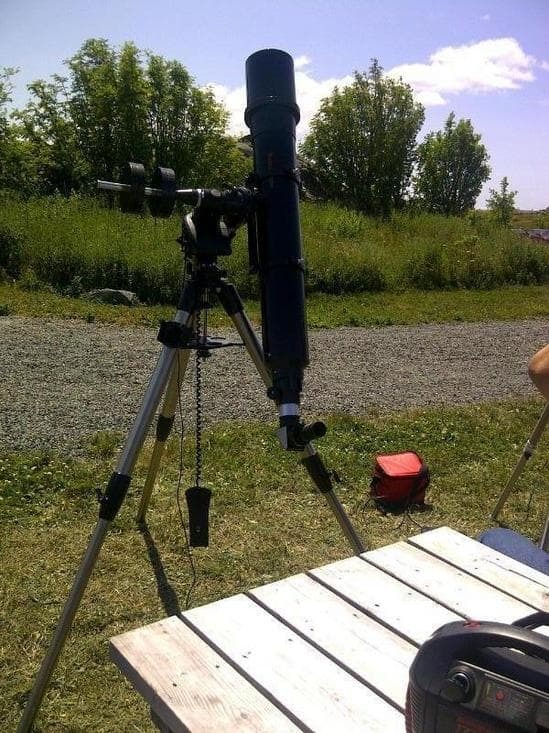 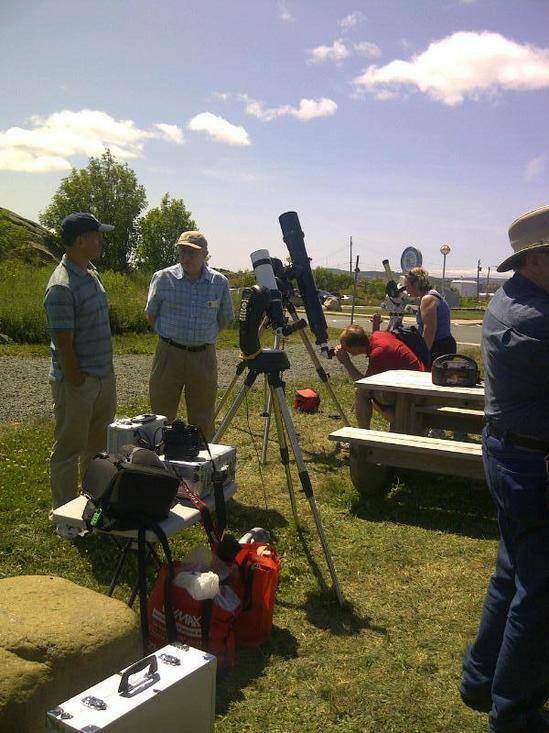 The Royal Astronomical Society was up on Signal Hill on the weekend, inviting passersby to look at the sun and solar flares. 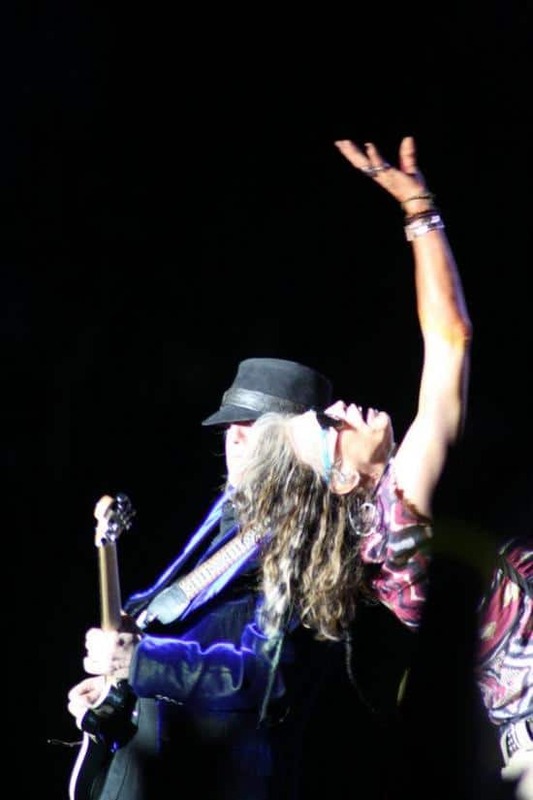 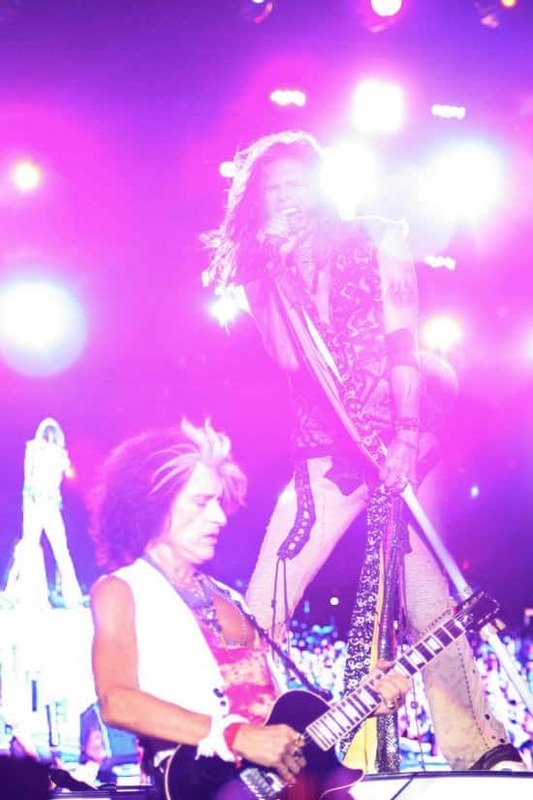 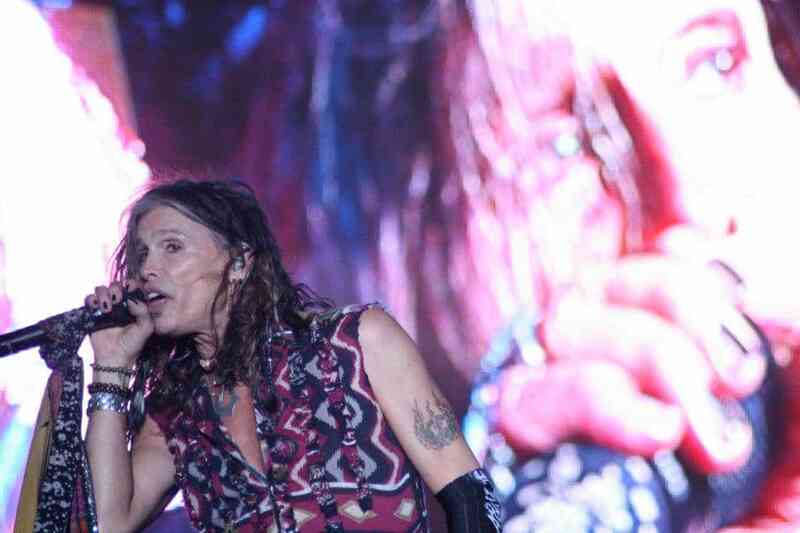 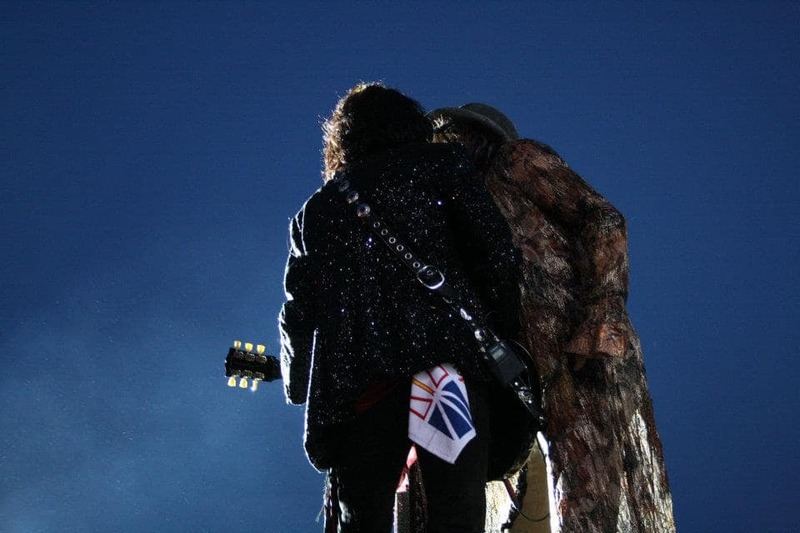 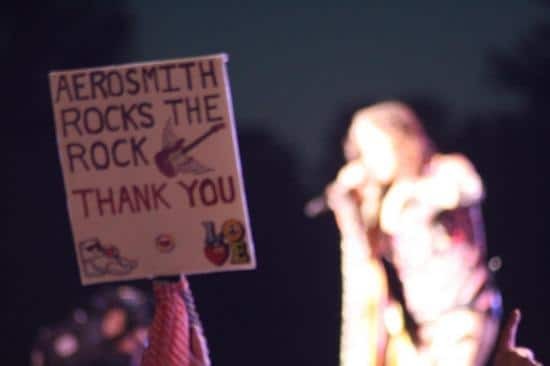 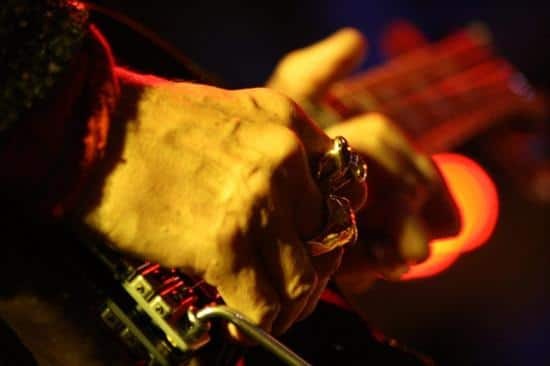 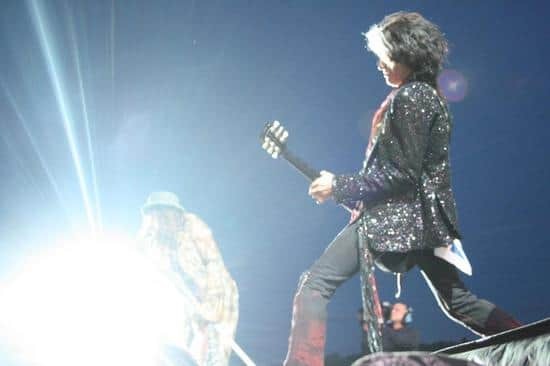 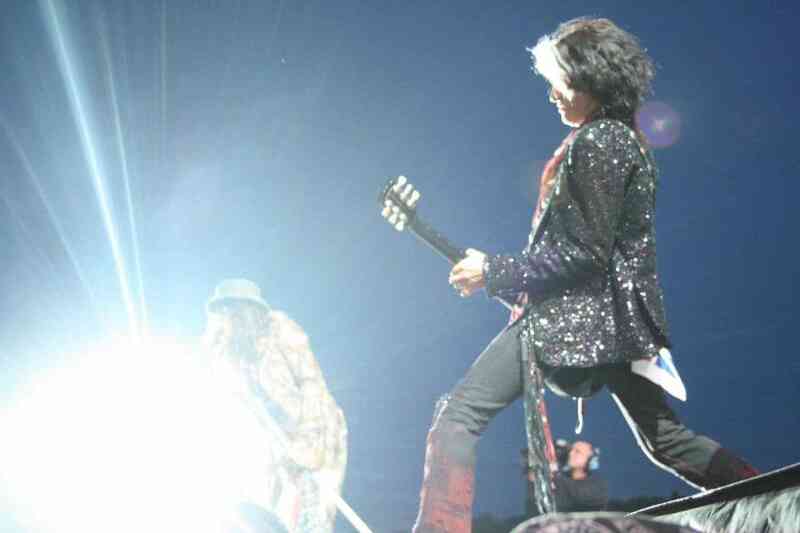 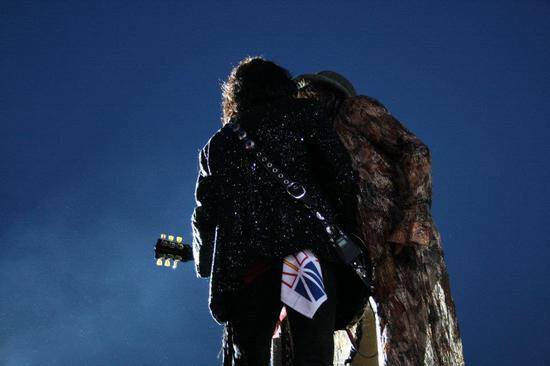 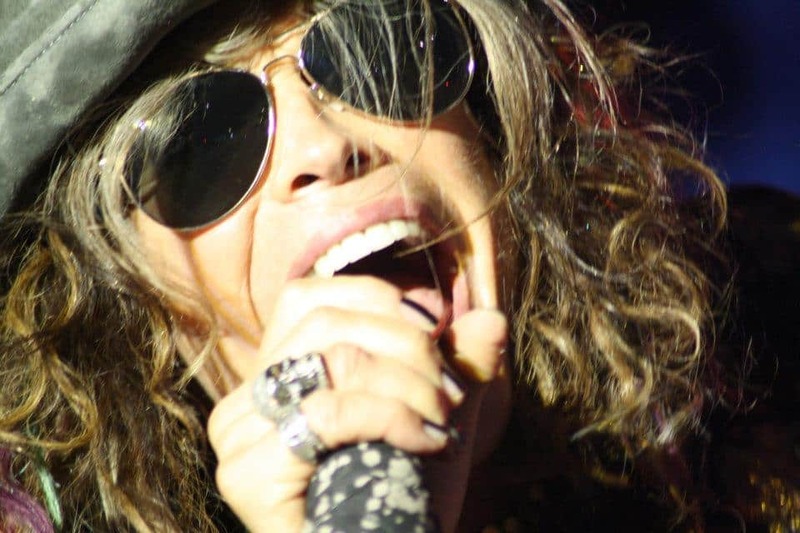 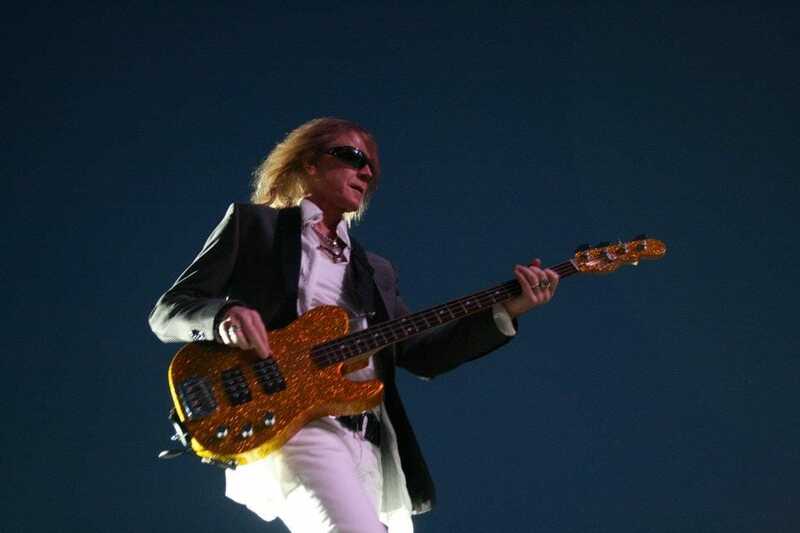 Photos of Aerosmith at the Salmon Festival in Grand Falls-Windsor taken by Gavin Simms. 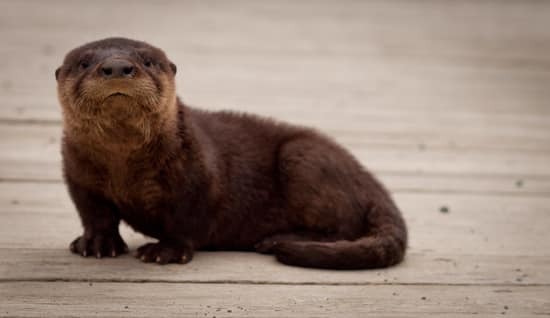 This photo of this little guy was taken at Quidi Vidi Lake by our very own Darryn Power. Some nice graffiti in downtown St. John's. 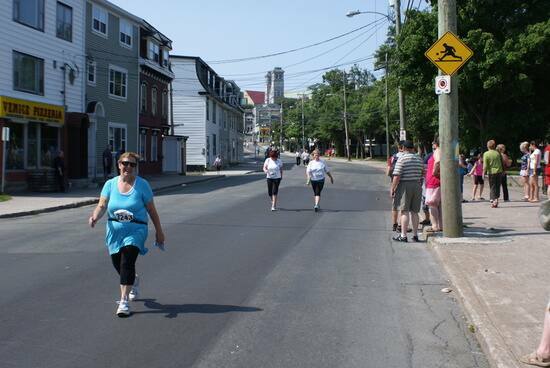 Some shots from Wonderbolt's Cirkzilla in St. John's on Sunday. 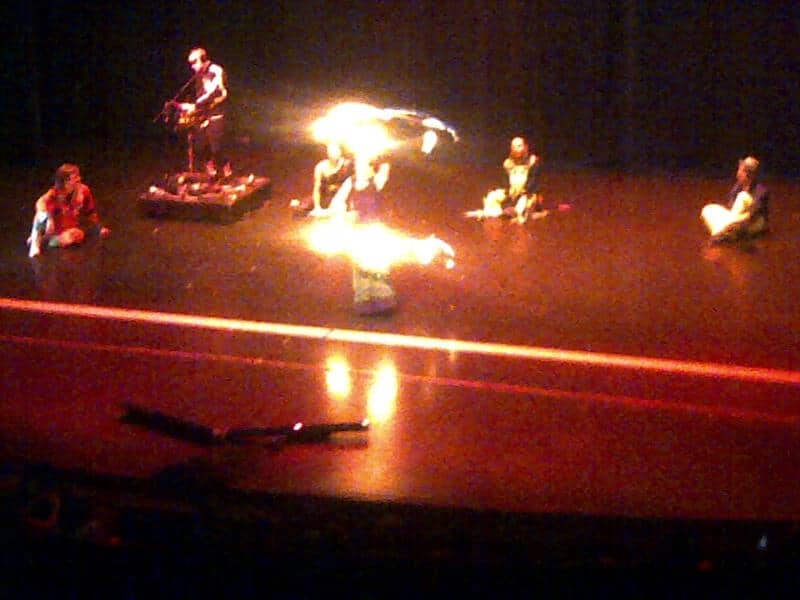 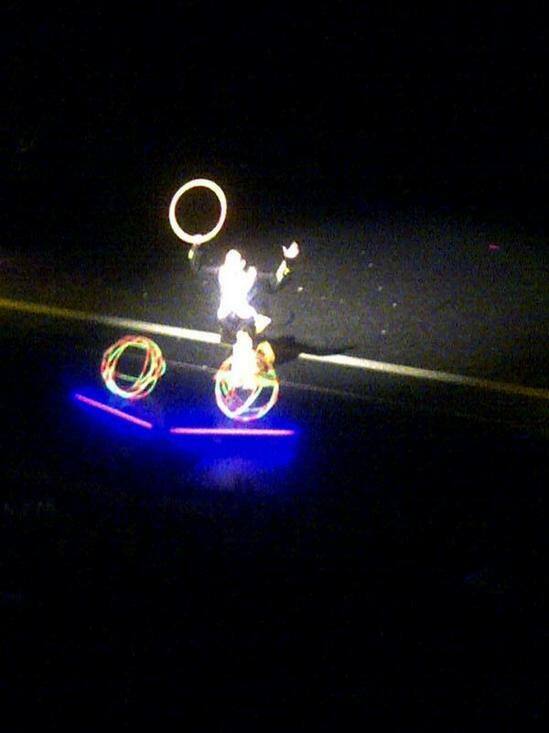 The show is on tour in locations across the province until the 14th of July. 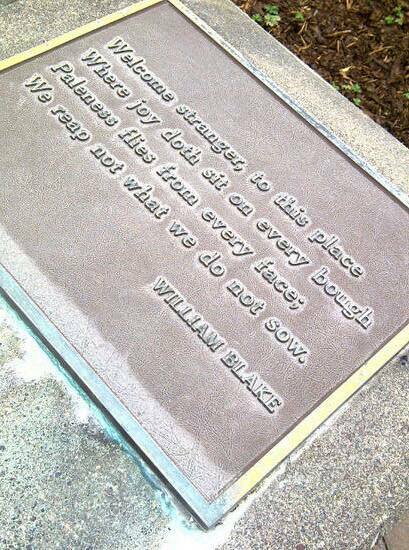 seen in Memorial University's rose garden. 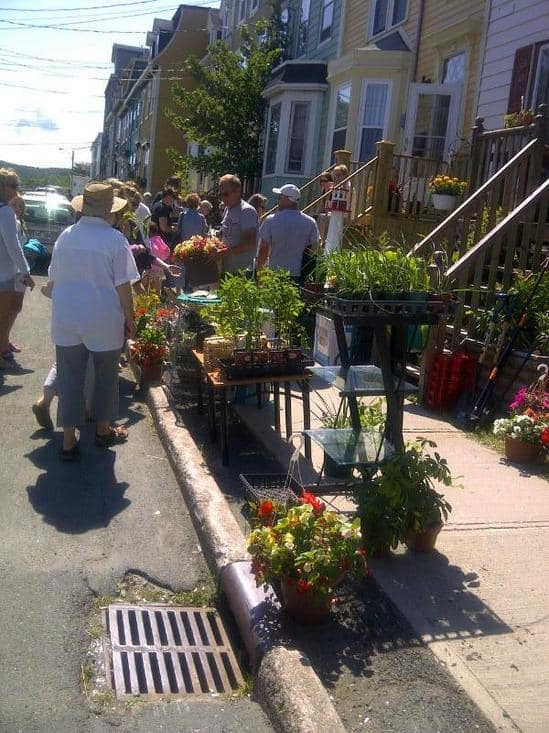 Last year gardening in St. John's was heartbreaking. It was cold, wet and if anything grew, the slugs ate it shortly after it appeared. 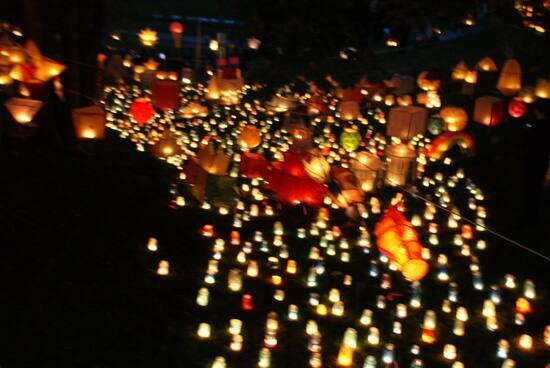 This year, however, is completely different. 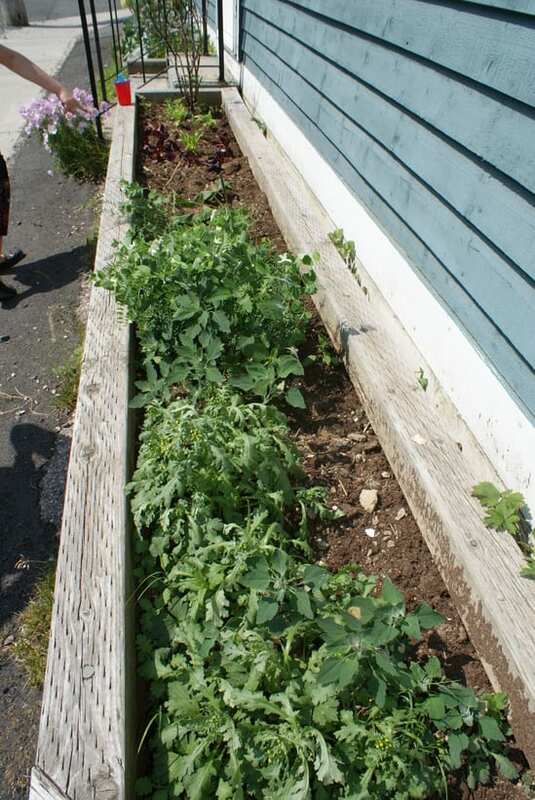 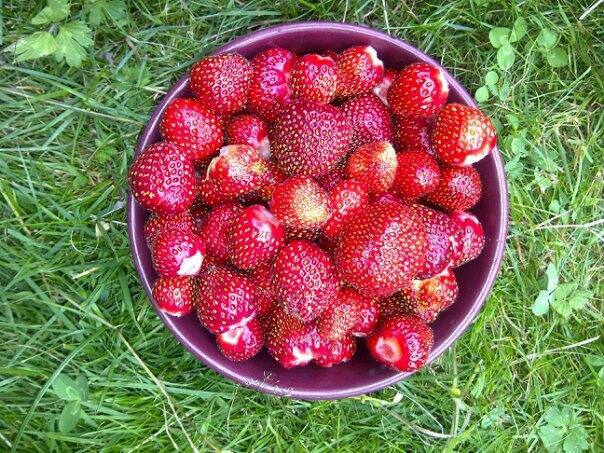 Here is an example from one St. John's garden. 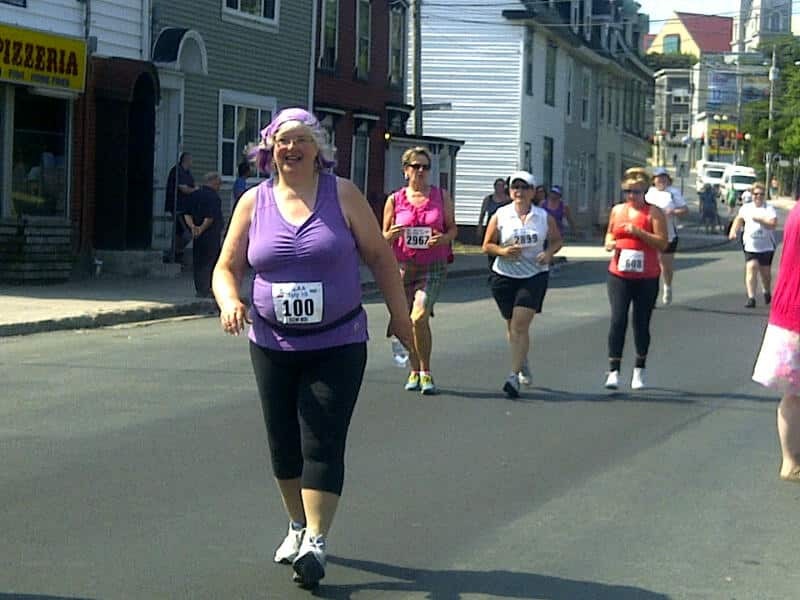 A few pictures from a very, very busy weekend. 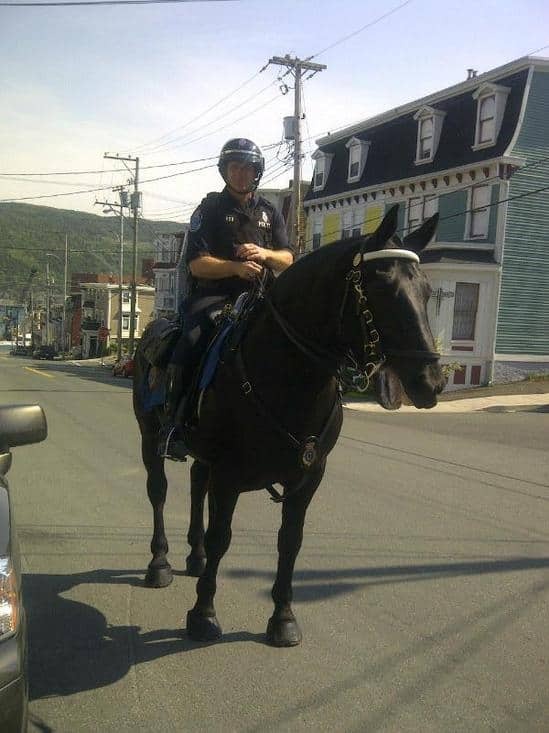 This is police horse Fraize, making his way home in the heat. 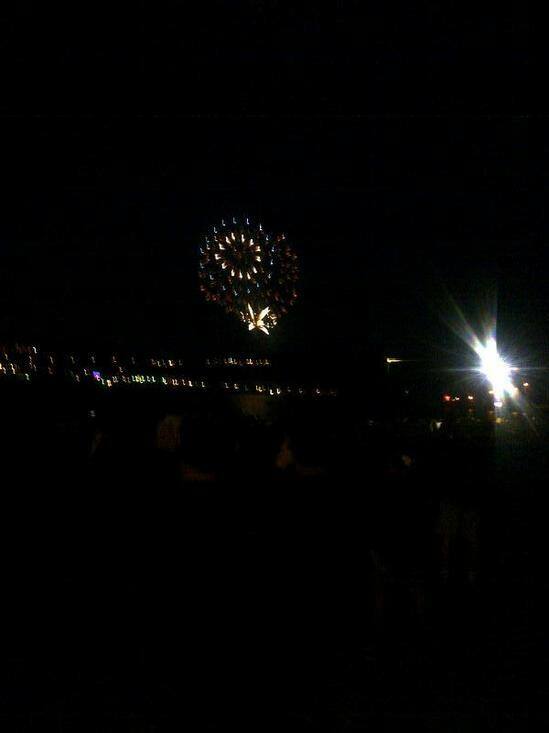 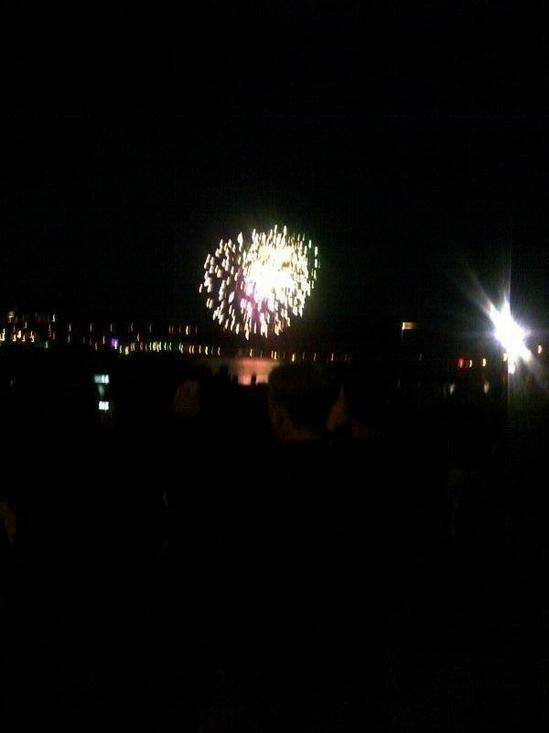 Fireworks down a Quidi Vidi Lake in St. John's. 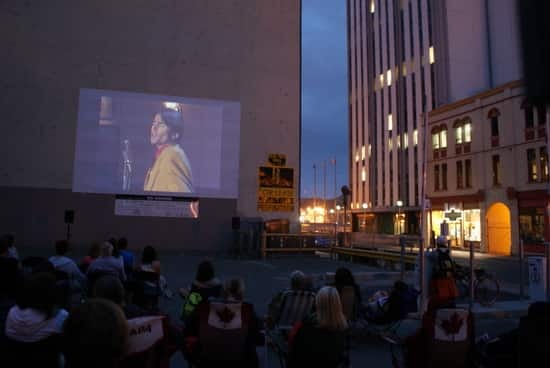 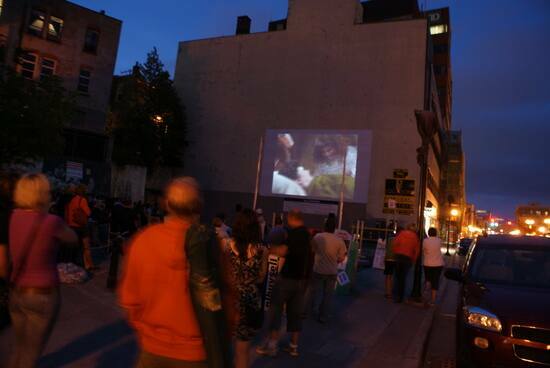 The return of the Reel Downtown cinema series, starting Monday night with "Tommy: A Family Portrait". 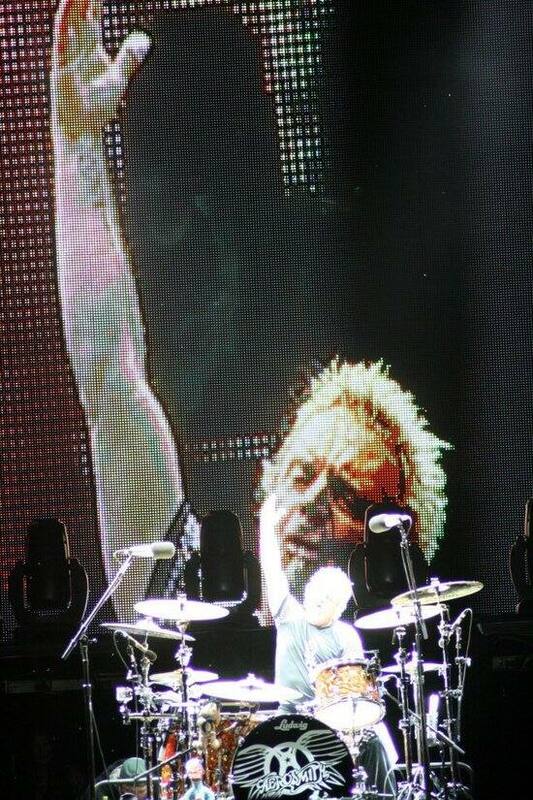 Today would have been Tommy Sexton's 55th birthday. He died in 1993 at the age of 36.